Our Husky is a powerful and capable wildlife survey platform. This aircraft, with a 180 hp engine paired to an MT performance prop, offers the highest power to weight ratio in it's class. Important modifications to our ship include vortex generators for improved low speed performance and a tuned exhaust for more power and much better cockpit heat. This, combined with the memory foam seat results in a safe and comfortable ride for the long hours of survey time. References are available on request. 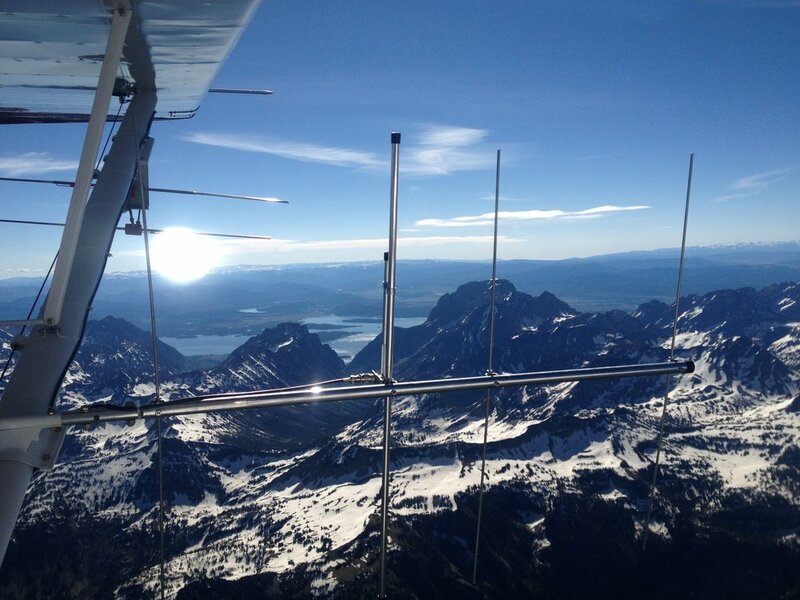 We are experienced wildlife survey pilots, keeping tight transects and altitudes for consistent results. The Husky is configured as a dedicated wildlife telemetry tracking platform. The interchangeable antenna array consists of a six element forward facing Yagi paired with side facing H antennas, selectable with a three way switch box. The antenna cables are permanently wired into the cockpit and accessible from either seat position. For clarity, the audio signal is routed through a noise reduction unit and the aircraft intercom system. Various frequency antenna arrays are available depending upon the animals being studied. We use the ATS R-4000 scanning receivers for their power and ease of use. A Garmin GPS unit is used to mark animal locations. In addition to our experience flying in the mountain west, our pilots have held wildlife tracking jobs in Minnesota and Alaska, done pack ice reconnaissance in the Arctic, low level survey work on the Exxon Valdez oil spill and bush operations in remote areas of Canada, Central and South America.